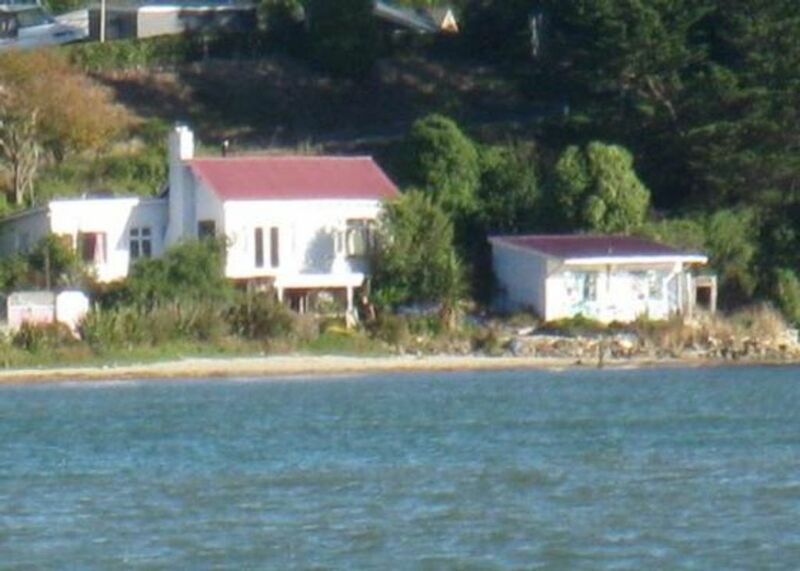 Historic 100 year old house right on the estuary. Formerly the home of the fishing station manager, servicing Sea Cliff asylum. Right on the estuary at Karitane. You couldn't get any closer to the water's edge! The estuary provides a safe tidal swimming area for you and your family. Bring your fishing rods and come and play. We have kayaks for you to use. At low tide, enjoy hunting for crabs with the kids or dig for cockles for your dinner. You might see Harold, the resident sea lion in Karitane Harbour. Put your feet up with a book and a cold drink on the deck while your BBQ lunch is cooking. Fancy a short walk to Karitane Beach? Enjoy swimming or surfing at the beach. Ride a push bike along Karitane beach at low tide to the rock pools at the southern end. (2 adult bikes and 2 kids bikes supplied). Walk to the blow holes at the northern end of the beach. The local shop is only a brief walk and stocks all of your essentials. Karitane is only 35km north from Dunedin. Unfortunately we didnt get an info sheet before arriving. Ph call to Geoff had it sorted in no time. Very cozy bach/crib. Some work in progress very obvious. Was going to stay in the hut until we saw the hole in the exterior wall. Heaters appreciated for our first night before acclimatising to southern temperatures. Our second stay at the Pink Pipi. It is a real privilege to be situated so close to the river, to watch the ebb and flow of the estuary and the daily activities of the wading birds. Karitane is a relaxed and beautiful spot, served well by its remarkable Salt & Sugar General Store (the fresh bread and pastries on Sunday morning were outstanding). The beach was great for swimming and walking, and the track around Huriawa Peninsula another real highlight. We were fortunate to have fantastic weather during our stay, but should it get chilly it would be a great holiday of reading etc, warmed by the efficient wood burner. Yes, Pink Pipi is a little rumpty but only what you would expect of an ageing and historic home situated by the sea. Love it. The location of this property deserves 5++, we think the best in Karitane. The fact that we've given it 4 stars relates purely to the understandable tiredness of this awesome 100 year, character kiwi bach. If you love the everchanging tidal estuary, sunsets and safe waters, this is right on your doorstep. Everything else Karitane has to offer is within easy walking distance. We loved our stay and found Bernie super helpful.